Uncategorized – Page 20 – Platform r.f. International performance festival that took place in the City Art Hall of Vaasa. mother with his older sister. During most of his grown-up life Hüttner has ignored the fact that this event and growing up without a father has affected him and his development as a person. Almost to the day 30 years after the fatal accident the artist produced a triptych video entitled ‘Who’s your Daddy? The video was the start for Hüttner’s artistic and emotional investigations into the effects of the tragic event and a life without a father. The current exhibition is clearly a product of these investigations. In the centre of the space Hüttner has created an enormous clay phallus, which rises from floor to ceiling. For the opening it looked potent, shiny and impressive. As the exhibition progressed the clay dried, withered and eventually dropped off. nce the ‘father’ loses control, drops him and exits the image frame and Hüttner is abandoned, left alone on the ground. In the last of the three videos we see the artist in a more embarrassing situation. We see him with his pants pulled down as he is receiving a spanking by the same muscular man as in the two other videos. The ambiguityof the videos raise issues about sexual identity, but also about punishment and how we are clearly coloured by the domestic situation that we are brought up in – and then particularly in our relationships to our parents. Per Hüttner is a swedish artist based in Paris. Platform was transformed to a livingroom – the wallpaper consisted of cartoons showing information for prostitutes how to avoid getting diseases. The opening was a roleplay, a prostitute form Nigeria is leaving, going back home, and a going away party was arranged for her. In the other room a video was shown of french students doing role plays of being prostitutes. I´m 20 years old. I´ve been a prostitute since I was 17. Many bad things have happened to me, but I´m still alive. I´m not stupid. I have dreams. I believe in life, I think about the future and smile. Every day is a gift to me. I believe. Everything is going to be ok.
I´m a strong woman. Someday my dreams will come true. For the duration of the exhibition a table top matching the gallery dimensions was installed into the gallery. Inset into this surface was a slotcar racetrack made by Tyco, a lap counter and two speed regulators for each racing car. The Tyco track had been selected for its construction ratio of 1:87. Most other producers of racetracks favor a ratio of 1:32, resulting in larger cars that are easier for children to pick up and hold. These larger cars are also more durable – a feature that is important to the children who are the main consumers of these products. Matchbox, the classic producer of model cars (and incidentally, along with Tyco, a subsidiary of Mattel) also produces a track with a 1:87 ratio. Such a ratio helps participants to identify with the drivers of the cars (who can also be controlled by the participants), and in this way to become more integrated into the race. The aim of the game contained within the sculpture is, more or less, to drive around in circles. The lap counter indicates how many laps have been completed and resets itself to zero after the completion of 50 laps. Although the general aim is to clock as many laps as possible as fast as possible, too much speed, particularly in corner situations, may result in the car spinning out as it loses contact with the racetrack. “Imagine this room is your studio. There is a mega exhibition coming up, and you are invited! The curator wants you to create a new work. Something great, extraordinary, extreme. There is a lot depending on this show and it’s not much time left. He’ll step by and you have to present your idea. Play/explain it in front of him, without giving him a paper, cause he doesn’t like that. 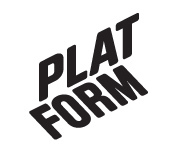 For their exhibition-project at Platform, Vaasa, Nina Fischer and Maroan el Sani were looking for the co-operation of some artists/art-students and actors /-students. They gathered a fictive, international artist-group and brought them together in a casting-like situation where the participants developed ideas for new artworks in couples or in small teams. The process was documented on video and shown at Platform.